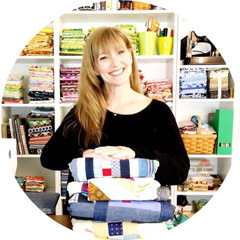 How could a pass up a fabric fix? 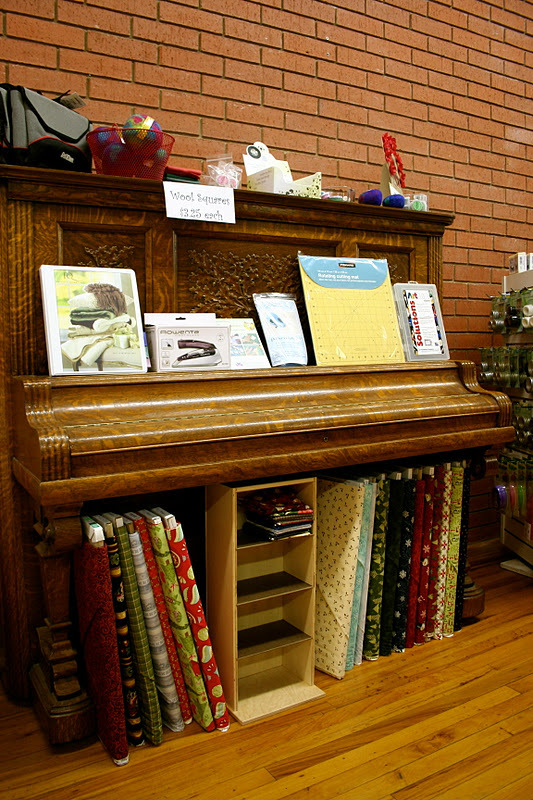 Stillwater, Oklahoma has an amazing quilting store in the sweet downtown area. 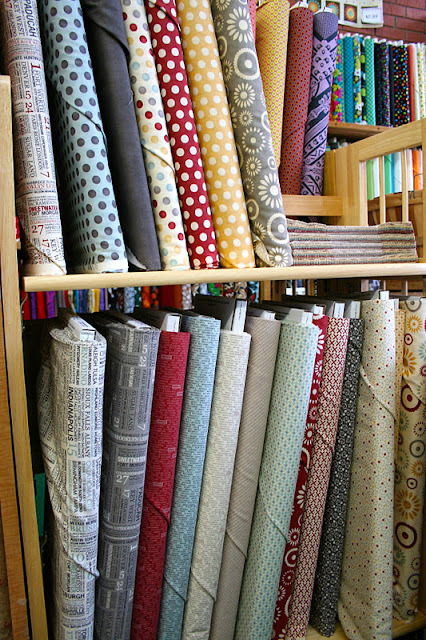 When I was visiting my kids my sweet daughter-in -law asked if I wanted to see the quilting store...UMMMMM...YES!!!!! ALL of this Moda Hometown is drool worthy!!!!! Sara, loook at all the dots!!!!! FUN! Oh how fun it would have been to play with this baby! The owner, Terri, who is very nice and patient has all sorts of personal props in the store, this was her grandmother's piano. The bright the Michael Miller is ab fab! So, if you ever find yourself in Stillwater, wear ORANGE and go visit this shop! I am unpacking and sneaking in some sewing, I am very insipred!!!!! Ahhhh, Hometown. I am working with it currently, and LOVE it! Wow, look at those dots! ;-) I have yet to go to a "real" quilt shop...it looks really wonderful! Hey lookee at that Mariner's Compass, weren't we just talking about that before you left?? that store looks amazing! A little far from Orlando though and my lonely sewing adventures. Looks like an amazing shop! I love the huge sewing area and the longarm machine (oh yeah! ).